I have this whimsical feeling of cooking or baking something as and when my heart desires for it. It does not have to something fancy or exotic. Sometimes even a rustic and everyday dish steals my heart and when it strikes I know I have to make it right away. Last week something similar happened when I saw undhiyoo on Arch’s blog.Then a video came up on Saee’s blog and the blogosphere seemed to have flooded with varieties of undhiyoo recipes. I wanted to make and taste it so badly but the recipe called for some very seasonal and regional products like garlic chives (garlic greens), Surti papdi and purple yam. I have never seen purple yam or garlic green in markets, well I never looked for it. But I was pleasantly surprised when on my weekly shopping trip to the haat (market) my trusted green grocer showed me some garlic greens and asked if I want to buy them. He knows am very curious of such uncommon products and I was happy to grab it. Pushed all other plans aside the whole time was then spent to shop for undhiyu ingredients. 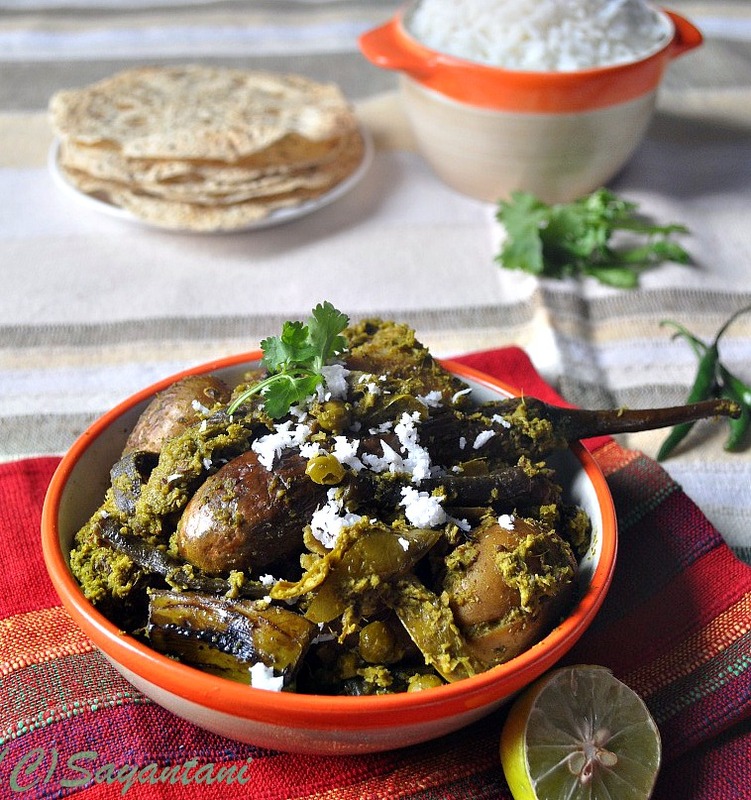 Surti papdi (broad beans), baby brinjals, yam, sweet potato and fresh fenugreek greens. Finally got enough time to cook it today. Undhiyoo is a Gujarati winter delicacy where various types of root vegetables are cooked with beans and methi dumplings (methi ke muthia) in a green spice paste made of garlic chives, coriander leaves and coconut. The vegetables are stuffed with the green paste and then cooked in layers on a very slow flame. The end result is a very rustic dish cooked with hearty deshi vegetables to warm our hearts on a winter afternoon. I read at a few blog that this dish calls for a lot of work or preparation but trust me I found it quite easy. Blame our Bengali elaborate holiday lunches which calls for a minimum of five side dishes with rice, it was a breeze for me to prepare and cook it. Though I never tasted this dish before but from the beautiful aroma of the methi muthias frying in the hot oil made me sure that I was on the right path. I loved the green spice paste so so much that ended up adding a whole lot of it. And even ended up stuffing some Mackerels fish with this to fry and accompany our meal later. We enjoyed it with hot steamed rice, roasted mackerel and Papad (sorry but that’s all what my Bong gene wanted). And now that I am writing this after such a satisfying meal all I can say is I was in Deshi winter heaven today. Wash and chop methi leaves. Mix in a pinch of salt, mix and keep it aside. Wash the yam, cut in cubes and mix in few drops of lemon juice and salt. Keep it aside. Before using wash it under running water. This will get rid of its itchiness to some extent. First made the green spice paste by grinding all the ingredients under spice. Do not make a very thin smooth paste. Make it coarse to add some texture. Wash and prepare the vegetables. 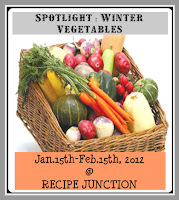 Make small crisscross slits on one side of the brinjals and potatoes. Don’t cut it through rather create a pocket to stuff with green spice. Cut the sweet potatoes in half and make similar cuts. Cut the banana in three and make a similar slit. String the surti papdi and halve them. String the broad beans and cut them in 1” pieces. 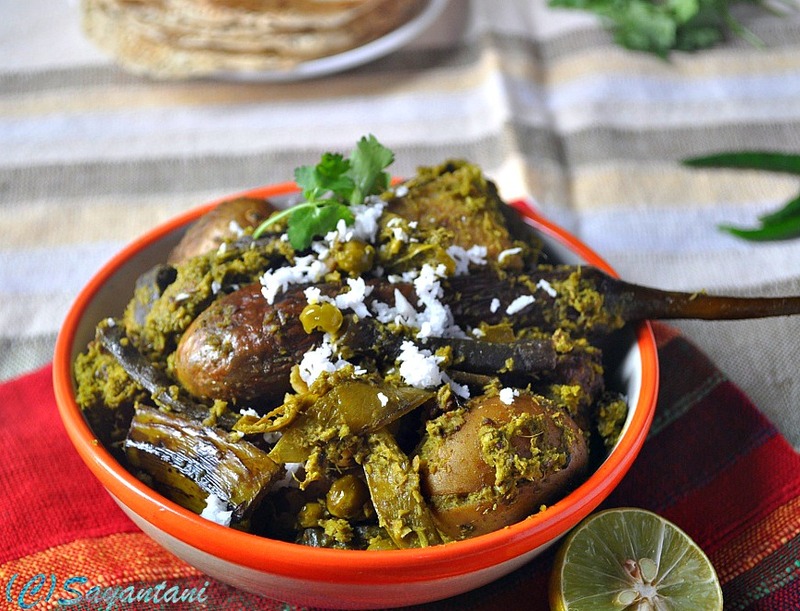 Stuff the potato, sweet potato, banana and brinjals with the green spice. Rub the purple yam, beans and peas with some of the spice paste. Now mix in all the ingredients for muthis with the chopped fenugreek leaves and mix well. If needed add little water to bind the dough. It should not be watery rather like a cookie dough. Heat oil in a deep pan. Take little muthia dough in your palm and give it a oblong shape. Fry on medium flame till brown. Take out and drain the oil on absorbent paper. Take a big heavy bottom pan, preferably flat bottom. Heat 2 tbsp oil (I used the left over oil from muthia). Lightly fry the yam and potatoes. Take out and keep aside. Add carom seeds, asafetida and slit green chillies to this oil. When they start to splutter add the beans and peas. Mix in 2 tbsp of the green spice and stir. Cover and let it cook on slow flame for 3-4 minutes. Next layer the sweet potatoes, potatoes and yam. Sprinkle 2 more tbsp of the spice mix. Cover and cook for 5 minutes. Do not stir. 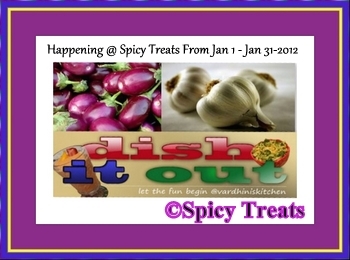 Spread the final layer of brinjals, banana and the remaining spice paste. Pour 2 tbsp of muthia oil and little salt. Cover and let it simmer for 5-6 minutes. Uncover and add ¾ cup of warm water. Check the salt. Sprinkle little sugar and spread the muthias on top. Cover and let it get cooked for 10-15 minutes till the vegetables are soft but not mushy. I cooked mine on my Prestige Induction cooker. It was easier to handle the dish that way. 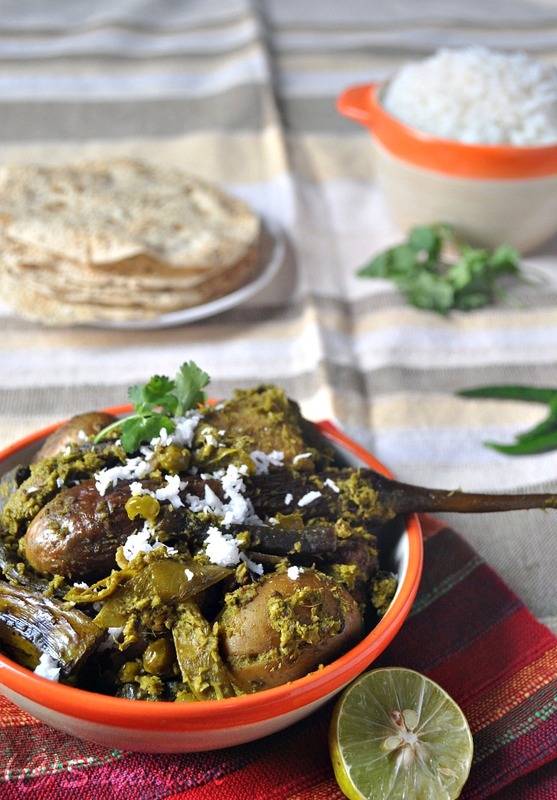 Traditionally served with puris and rotis. This is one Gujju dish I dish but because we do not get the veggies here I don't make.Lovely pics. this is one wholesome and scrumptious recipe...looks so inviting!! thanks for sending it to the event.. This is the first time I'm introduced to this dish. Love all the shots! Ah..such a delight to see the complete dish:) Thanks for posting. Looks absolutely inviting. 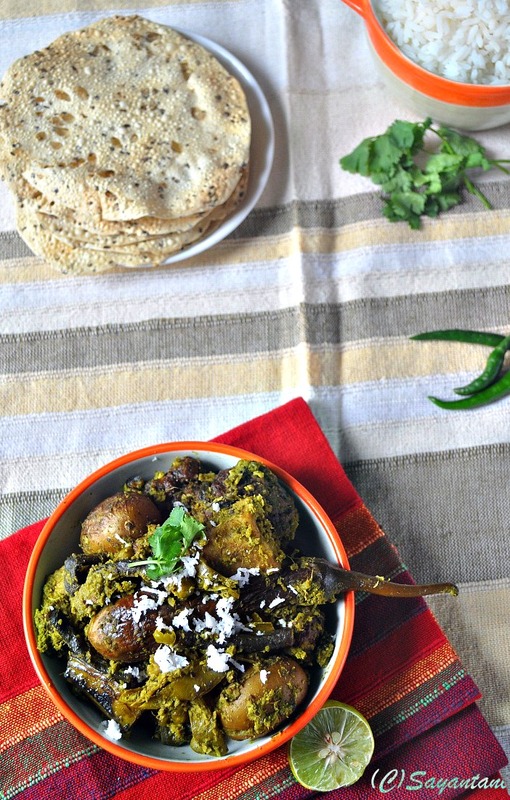 Yes it is raining undhiyoo in blogworld :-) but this one recipe even i wanted to make very soon. I get a lot of garlic greens here in the markets n grow them too. Growing them is quite easy in pots too Sayantani. New to me,look super delicious and inviting,thanks for sharing. We do get purple yam here, but seeing the list of vegetable and work behind, totally scares me- but the bowl sounds very comfy food! First time here, u have a awesome set of recipes and beautiful space.. This recipe looks so delicious, will try it soon. Looks delicious saya. Hows your little boy? Wow, what a dish and what clicks, love it, I have been wanting to do this for very long, but the lengthy process put me off, after seeing this, I am definitely going to give it a try..
this dish looks delicious..new to me..thanks for the recipe! Thatz totally new to me!! 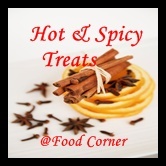 Awesome flavors and very inviting! Delicious dish. Can't wait to give it a try. You have made it sound like it should not be missed. I am curious about those mackarels which were fried with the green masala? Is that post coming up? @Indo. give it a try if you manage to get the ingredients. not very fancy but there is something satisfying in this. I dint click the mackerels. but plans are there to post some fish fries soon. Beautiful pics Sayantani ! I am so glad you managed to get the ingredients and make it !! And thank you for the mention :) Your pics are awesome !! @Arch, thanks a ton. am glad that you liked it. was a little worried as this was the first time I tasted this dish so was not sure if it was ok. moreover was not sure if i have overcooked the veggies. I've never made this one but I'm surely longing to make this since a long time. Looks rustic and ready to be grabbed. 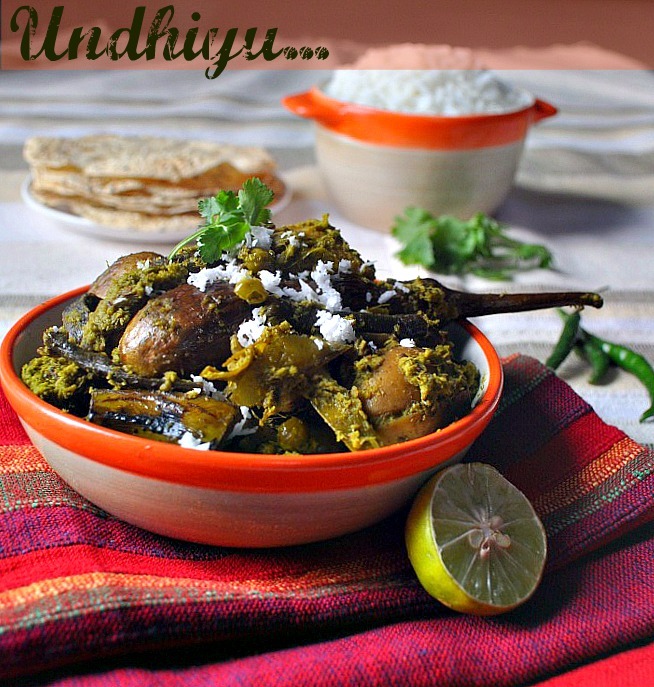 Undhiyu...what a Dish!!! Undhiyu with puri with Jalebi..yummmy..mouth watering.